The Day of Love itself under two weeks away! Cupid is stocking up on arrows, scores of new lovers are angsting over the “right amount” of kisses to put in their cards, and the Easter Bunny is moonlighting as a Valentine’s chocolatier. Probably. And then we come to the gifts. Valentine’s Day is a major cause of the dreaded gift anxiety; with the threat of a bad gift turning the romantic atmosphere sour. But fear not – if you haven’t yet got your gifts sorted then we’re here to help! If flowers and teddy bears don’t float your other halves’ boats then our alternative gifts will have them exclaiming Oh Buoy! in a heartbeat! Bursting with dinosaurs, unicorns and Harry Potter art prints, this unique collection will help ensure that the dreaded present exchange goes smoothly. You. Are. Welcome.! 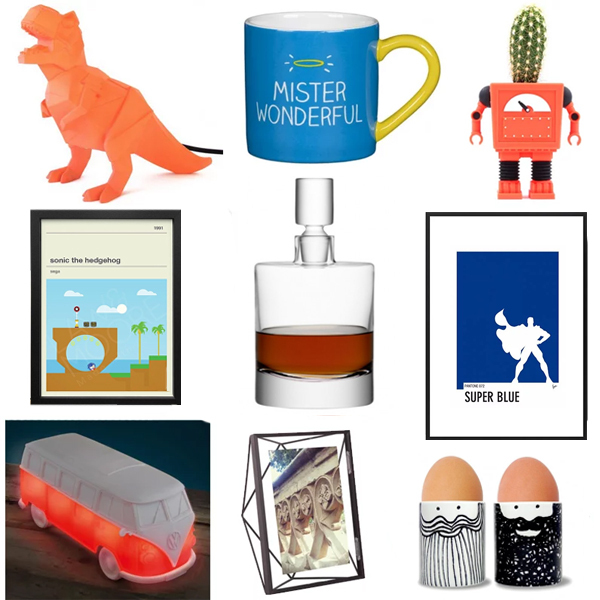 Whether it’s a funky photo frame filled with your favourite moments together, or a magical unicorn mood lamp – we are bursting full of lovely gift ideas for her! See the entire collection here. And we didn’t want the hopeless romantics out there to feel left out! Cue the hearts, love, Sandy and Danny, etc etc!